This page provides information about New Mexico divorce law and services to help with family law issues. NM is a community property state, which will affect how everything will be divided if you and your spouse can't reach a mutual agreement. In these situations, all marital assets will be divided equally, regardless of how the property is titled. You also need to realize that in community property states like NM, both spouses are mutually liable for all debts which arose during the marriage. Therefore, it's wise to consult with a skilled lawyer about your situation. He or she can advise you on how you can protect yourself concerning financial issues in a divorce. Below, you can get information on finding a qualified divorce lawyer to help with your case, as well as use the interactive online child support worksheet to help you calculate child support payments. This page also offers options to do your own divorce and resources if you need to locate a local divorce support group or one of the state's domestic abuse programs. Marriages between relatives, including siblings of full or half-blood; grandparents and grandchildren of all degrees; aunts and nephews; and between uncles and nieces. Marriages which occurred before either party turned 16. Marriages in which at least one party was younger than 18 or didn't obtain the required parental consent. Marriages in which one party was mentally incapable of consenting to marriage. Marriages in which one party was already bound by marriage to another person (bigamy). Residency Requirements: If either party has lived in New Mexico for at least 6 months, they may file for dissolution of marriage in the county where either spouse resides. Legal separation: Either spouse may file for a legal separation to address the custody and support of their children, division of property, and spousal support. Division of community property: In New Mexico, all property and debts obtained during the marriage by either spouse, or both, is presumed to be community property and divisible in a divorce unless it is classified as separate property. Assets considered separate property include those obtained prior to the marriage or after a legal separation; or by gift or inheritance; and property which is designated as separate property by a written agreement between the spouses. If spouses cannot mutually agree regarding the division of their community assets and liabilities, the court will split everything equally. The assets and debts of each spouse. The court may consider the length of the marriage when awarding spousal support, with no alimony generally being awarded for marriages less than 5 years in duration. When support is awarded, it is based on the needs of the dependent spouse. Rehabilitative support can be awarded if a spouse needs to receive education or training to become self-supporting. Transitional support may be awarded to supplement the income of the receiving spouse for a short period of time. Permanent support may be awarded for long-term marriages (more than 20 years of marriage) or due to the poor health of the dependent spouse. Spousal support will end when the supported spouse dies or remarries. The court shall consider the desires of a child who is fourteen years or older regarding which parent he wishes to live before awarding custody. 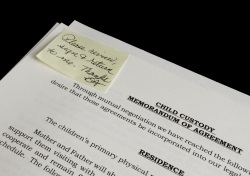 If the parents agree to a form of custody, the court will honor the agreement unless it determines that such an agreement is not in the child's best interest. New Mexico courts prefer joint custody, meaning the parents will have equal decision-making power over their children's lives. Joint legal custody doesn't imply that equal time will be spent with each parent. Nor does joint custody take away the duty of a parent to pay child support. A custody award will also include a parenting plan which outlines which parent will have residential custody, the parenting-time division, decision-making responsibilities, and any other statements regarding the care of their child. Child support: The court will determine liability of a parent for child support by applying the New Mexico child support guidelines using the gross incomes of both parents and taking into consideration the custody arrangements, the cost of providing health and dental insurance for the children, and work-related child care. Child support may also address such expenses as extraordinary medical or educational costs, as well as expenses related to long-distance time-sharing or visitation. The guidelines can be deviated from if the support obligation is more than 40% or the obligated parent's gross income for a single child support obligation. An income withholding notice may be issued in conjunction with a child support obligation to ensure payment. A parent can petition for a modification of the child support obligation if there is a substantial change in circumstances which would result in a 25% deviation upward or downward from the existing support obligation. 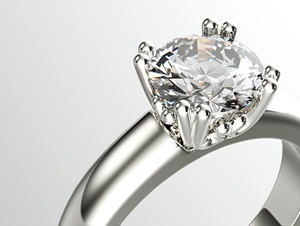 A petition for modification can be filed no sooner than one year after a pre-existing order. Child support generally continues until a child's graduation from high school but not past the age of 19, but may continue past that period if the parents agree otherwise. The Cooperative Parenting Program of NM offers various services for divorcing families, with specific classes for both children (and teens) and parents alike. They provide parenting plan workshops and mediation services to help parents work through their parenting issues. They also offer a workshop on the Impact of Parental Conflict, Separation and Divorce on Children, which meets the court-mandated requirement for separating and divorcing parents. Other Counties throughout the state also offer similar services and you can contact the country clerk for more information about availability and times. Need a Family Lawyer? The attorney directory at LawFirms.com lets you present your case and find pre-screened attorneys interested in YOUR case. This user-friendly divorce preparation service can help you complete the required paperwork for an uncontested divorce. By taking you through a series of questions to customize the paperwork to your situation, this is a lot better option than using fill-in-the-blank forms. Your completed documents are based on current court requirements and you will receive instructions on how to submit your paperwork with the local court. 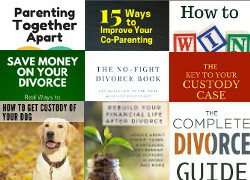 You'll also get access to various downloadable books covering a variety of topics that may need to be addressed in your divorce. Get started with your NM divorce. QDRO Documents - If you or your husband has a pension or retirement account that needs to be divided in your divorce, QdroDesk™ gives you the ability to produce QDRO documents customized for your situation through the use of smart question and answer technology.